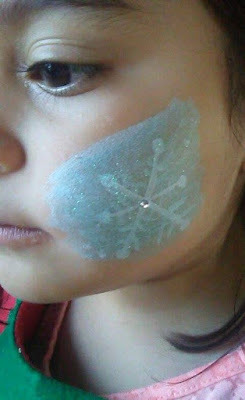 Thanks to the folks at Klutz, they have a fun Klutz: Glitter Face Painting that my girls went crazy for, when we received for review. What is so great about this kit is that it contained not only the face painting supplies (6 paints, a brush, glitter and even 46 sticker rhinestones), but there is also a full-color tutorial book, that give kids (and adults) ideas and step-by-step instruction on fun face painting ideas. There are a total of 54 pages in the binder book, and includes ideas for girls. From mermaids and butterflies to dolphins and seashells and even robots, girls ages 6+ will have hours of fun following the step-by-step instruction (both in print and with follow along illustration). 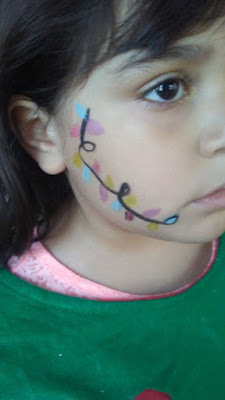 Both of my girls were excited to try out this face painting kit from Klutz. Like me, they liked how the step-by-step instruction include pictures to follow along. My husband is the artsy one in the family. He can look at a picture and draw it. I, on the other hand, can only make stick figures and basic hearts, rainbows, etc....the simple stuff. 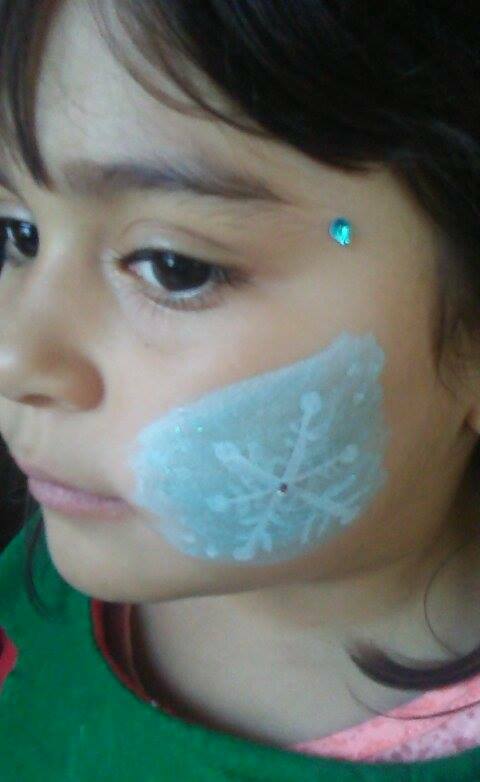 But, after practicing face painting with the girls, I have to say, I have impressed myself with my face painting. 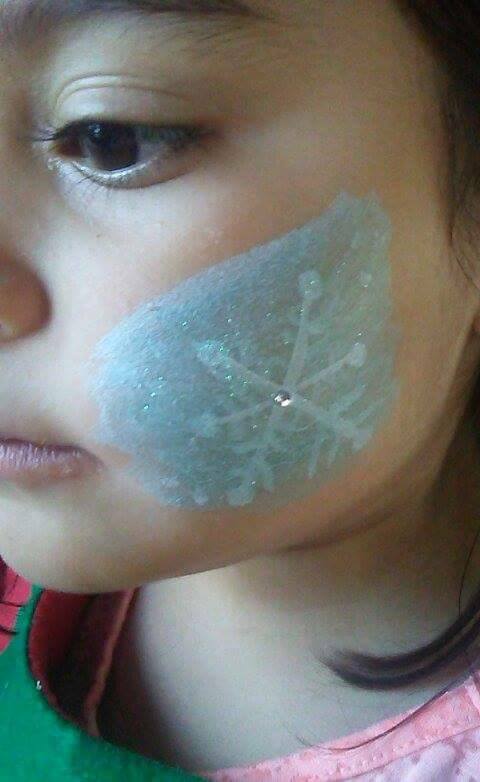 Just look at what I did for Bella today, when she asked for snowflakes and Christmas bulbs. If you a young girl in your life and are looking for ideas on what to get them for the holidays, why not consider the Klutz: Glitter Face Painting kit. It retails for only $26.99 and contains everyone one would need to enjoy face painting for hours. My girls and I highly recommend this kit. And, stay tuned, as I will be sharing a few other Klutz kits today that also make for great gift ideas for boys and girls this holiday season.